Pattern matching is advantageous for understanding and reasoning about function definitions, but it tends to tightly couple the interface and implementation of a datatype. Significant effort has been invested in tackling this loss of modularity; however, decoupling patterns from concrete representations while maintaining soundness of reasoning has been a challenge. Inspired by the development of invertible programming, we propose an approach to abstract datatypes based on a right-invertible language rinv—every function has a right (or pre-) inverse. 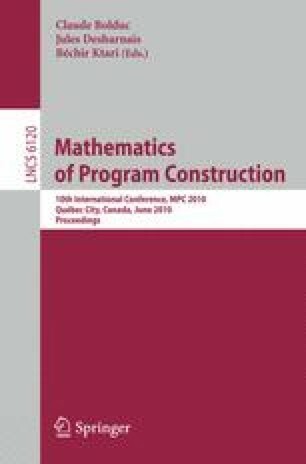 We show how this new design is able to permit a smooth incremental transition from programs with algebraic datatypes and pattern matching, to ones with proper encapsulation (implemented as abstract datatypes), while maintaining simple and sound reasoning.